I had planned to do a quick blog post this evening with the exciting news I discovered this afternoon: my favorite trail is mowed and in great running condition. Just in time for cross-country ski training! But then I read this article published in USA Today about Lake Placid's great second home market, which I am also very psyched about and had planned that story to be tomorrow's post. 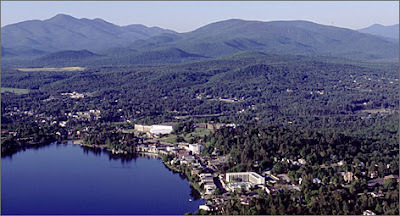 Two hot scoops for the price of one tonight - ski training's great and so is Lake Placid's second home market!